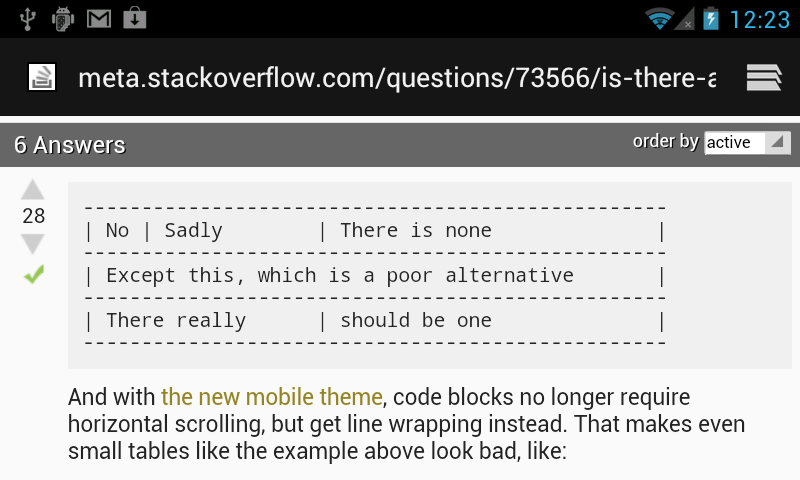 When browsing from my HTC Droid Incredible, running Android 2.2 w/ Sense, code blocks are not fixed-width. The pre style defines a LOT of standard fonts that work across Windows, Linux, and Mac. none of those fonts work on the Android browser? 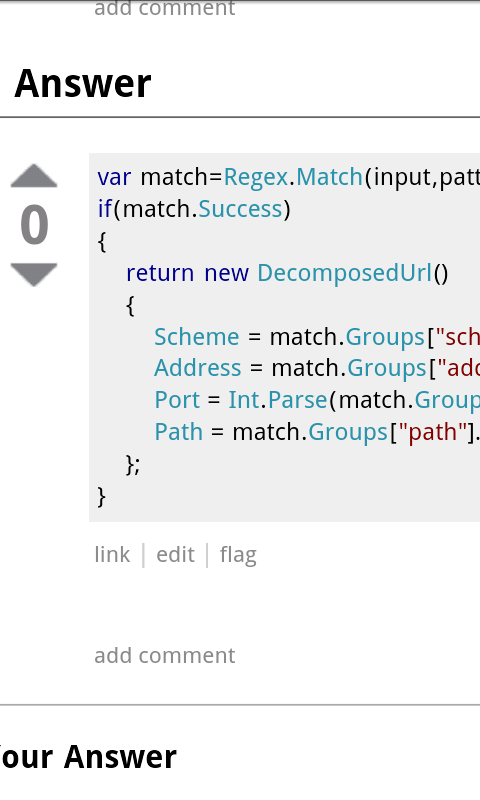 I dare say that is not a bug in us. Not the answer you're looking for? Browse other questions tagged support mobile-web android . Where should I ask questions about cell phones (problems with hardware, software, et cetera)?